Ambrosia is a well-known wedding planner who organizes every kind of wedding with same zeal and unique concepts. The team of ambrosia ensures the smooth and gleeful wedding. 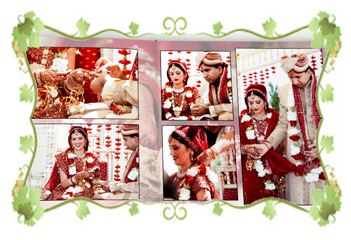 Theme based wedding play an amazing role in making your wedding memorable. We conceptualize unique themes and innovative ambiences that you never have heard before. We are experts in exploring themes that are traditional, whimsical, and ethnic with endless possibilities. 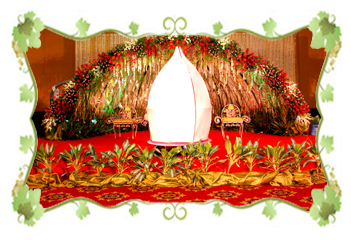 Right from invitation cards to the wedding night, the theme of wedding makes every moment memorable. We believe that wedding reveals the dream of you and your family that grow in the eyes year after year. Hence, we want it to be unique from others. Whether it is a budget or big fat wedding, we make it special with our team that endeavor to turn your dream day into reality with unique concepts and designs. At Ambrosia, a team of experienced visualizar creates a concept on which the entire function will be executed. A team of experts will create a blue print of concept, which also includes schematic with an involvement of client, and that help us to understand and meet the requirements. Venue and Accommodations play a significant role in any wedding and if that part is executed smoothly, then your mind and body can relax. No wedding is complete without guests. And when they arrive, you make all efforts to provide best hospitality. 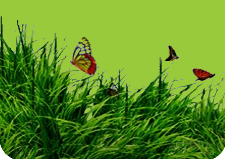 We understand this concern and thus arrange accommodation as per your requirements and budget. We also help to prepare rooming lists for guest in hotels to avoid any inconvenience for room selection. With huge database and contacts Ambrosia makes it easy to decide venue and accommodation. A bride’s adornment is incomplete without mehandi and so is the wedding without the mehandi ceremony. We know mehendi ceremony is not sheer ritual but very special moment that bride spends with her family, relatives and friends just a day before wedding. 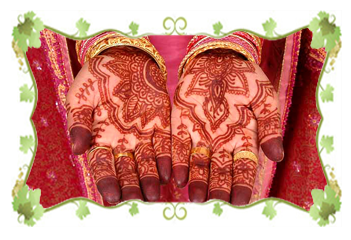 We organize mehandi ceremony with various concepts and themes. 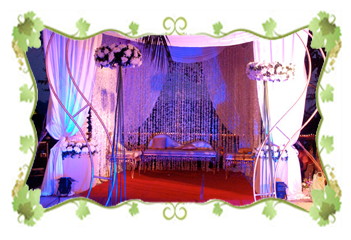 Be it at home or hotel, Ambrosia makes this ceremony more beautiful with a decorated ambience. We arrange Singers, Dholwalis, Dancing and Banna banni geet, traditional instruments to make mehandi ceremony night more jubilant and entertaining. Well begun half done! Yes the perfect idiom. Choosing best among several good invitation cards is not tough but choosing one that suits your wedding theme, your persona and your family beliefs is really difficult. 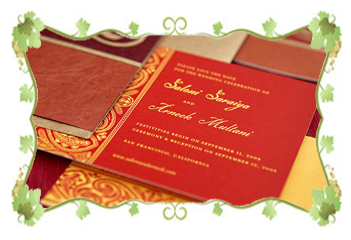 Whether you want a sober and an elegant invitation card or a mini-booklet, inscribed with 'sholkas'. We help you to choose a right card. Be it E-card or manuhaar patrika (a pre-invitation letter as per the marwari custom) with a collection of graceful words to invite special ones we arrange everything for you. As a generous host when you want to thank your guests for their presence, or if you wish to delight the in-laws of your daughter the gift silently says it all. We help you to choose the perfect gifts for all. We not only help to choose gracious cards and gifts but make sure that they fit in your budget also. Playing anatakshari, shaking legs on bollywood dance numbers fill the atmosphere with fun. No one wants to miss this jubilant night. Ambrosia organizes the sangeet nights with different moods of music and theme. Be it a gazal or melodious old song for elders or rocking music for youngsters. Nothing can be wonderful than seeing family dancing together in joy. Hence, we also facilitate choreographers to set family dance. 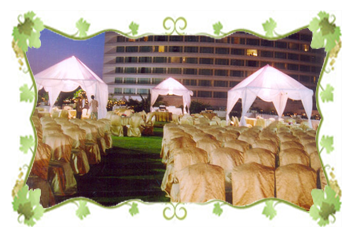 We conceptualize the sangeet nights on different themes and dances that makes your ceremony more special. 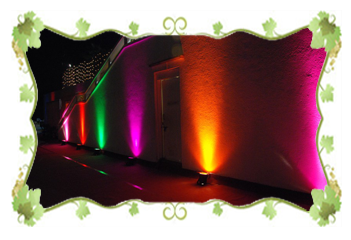 We organize rocking parties for clients with a vibrant sound and energetic lights system. Be it a bachelor party or just a celebration, we plan it all. We also render the service of pop star and Dj to make your night of festivities more joyous. These magical moments will never return. We capture these momentaneous celebrations in photos. We ensure the best service of photographer and videographer to preserve the treasure of these wonderful memories for you and to feel it forever. Indian wedding does not complete without crackles and fireworks. 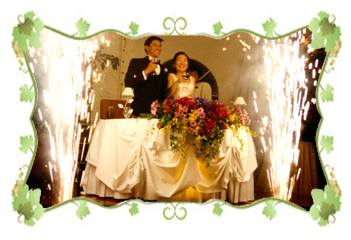 We organize a high-end pyrotechnics and cracker show to shimmer the sky with radiant fireworks that makes wedding night more beautiful. 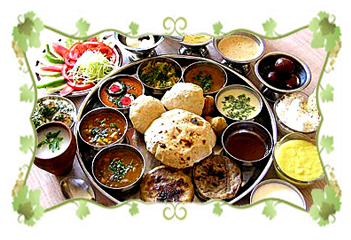 Traditional Indian food, chaat from famous chaat gallies of country, Chinese or continental or be it burger from KFC or McDonald, we assure a finger liking test. We help you to decide the menu that suits your style and taste. From setting layout of buffet to deciding dress code of waiters, we take care of every activity to ensure royal wedding feast. 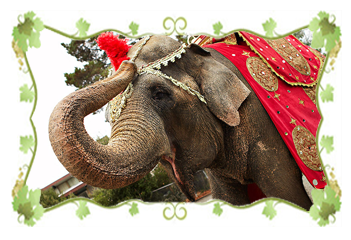 Impress your bride and her family with a royal procession. Approach your bride in a princely manner and let her feel like a princess. We arrange an imperial barat for a groom on ghodi, elephant and chariot (baggi) with royal band of drummers that lift up the spirit of baratis. The team of experts in Ambrosia never let you bother about budget management. We plan every function and expenditure in a meticulous manner and assure transparent transactions to avoid any last minute chaos. Value for money is our big concern hence we spend every single penny with proper planning. We never let our client to be bothered with the nitty-gritties of budgeting because with our stellar experience, he will never feel the need of thinking about budget management. We know every eye is set on the bride. Everyone is curious about what she is wearing and how she is looking. 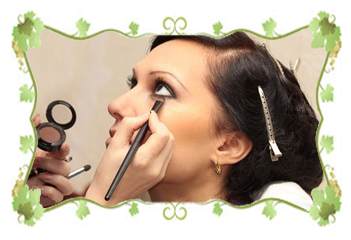 Hence, we facilitate the best beauty and styling solution for a bride. From stylish bridal mehandi, clothes, Accessories and gorgeous make up, we ensure the best among all, for your princess. We help to choose a sparkling trousseau, which enhances the beauty of a bride and suits the ritual and wedding theme. 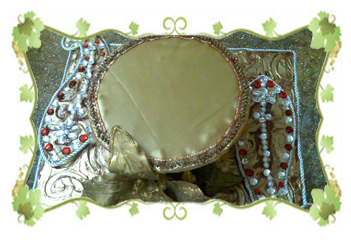 The bridal trousseau is associated with many customs and beliefs; hence we take every effort to respect those beliefs. 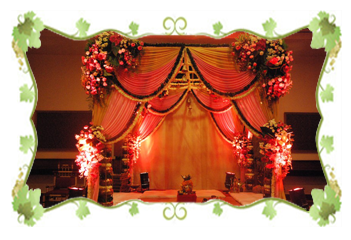 We also provide services of decorating trousseau esthetically to gift it to bride and groom (as per Marwari and Gujrati customs) on engagements and weddings.